In this day and age of materialism and consumerism, I find it refreshing to have schools that promote harmony with the great outdoors and Mother Nature. 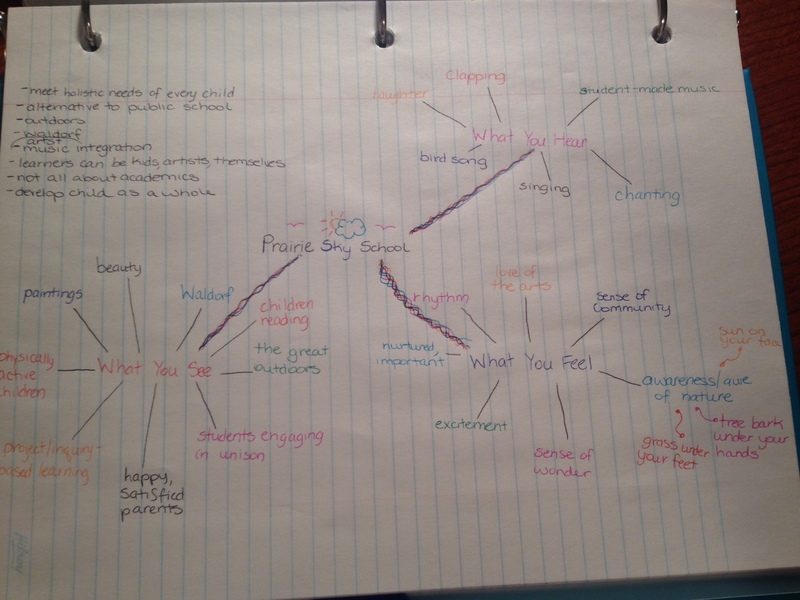 I can see many links between Indigenous ways of knowing and Prairie Sky School’s approach to education. Children have many opportunities for artistic expression and physical activity, which are often the neglected areas in schools today. Do alternative schools really promote “better” students, though? What is our definition of a “good student?” Why is it this way? The term ‘race’ in the book is confusing and incorrect. Painter uses ‘race’ to refer to the human race as a whole, but also specific ethnicities/nationalities (ex. “the Mongolian race”). First of all, the term ‘race’ is completely removed from being scientifically correct. There are NO human races, just one species who happen to have differing physical characteristics as a result of adaptations to the climate in the part of the world in which they live. Granted, I’m not sure Painter was aware of this, as he lived in the era of race being used as a way to legitimize slavery (because certain ‘races’ were superior to others and could, therefore, claim them as property, not actual human beings). When I learned that this particular textbook was used in teacher education programs, it made me realize why it takes so long to change our ways of thinking in regards to social justice issues, such as race. Our society puts so much trust in teachers to portray the correct information to students, and if teachers are taught falsified ideas, these ideas will become perpetuated in an entire generation of society. 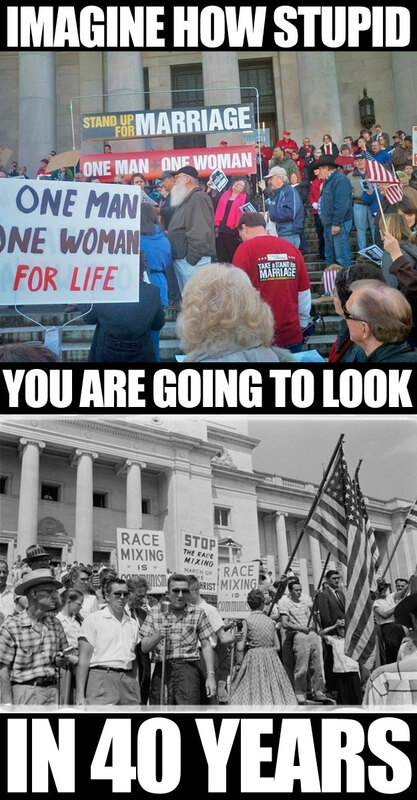 Personally, I find it quite admirable that our society has made such strides towards equality when these things were being taught in schools for so long. Educators teach who they are and what they believe in, and I find this to be a wonderful, yet very scary, thought. How does society continue to trust that their teachers are fostering ideas of equality in their students? How can those in charge of recruiting new teachers ensure that they are hiring someone who can portray these important notions? And if the teachers fail to do this, how can the damage be undone? I CANNOT believe that I am finished my first year of university! It was a whirlwind year of learning new things, meeting new people and having great new experiences! I am definitely excited to go back in the fall and continue to work towards my degree (and I am also very excited because my roommate got accepted into the Education program after a ton of hard work! ), but I am also happy to have a break for a few months! Although I have summer holidays (although here in Saskatchewan it doesn’t even feel like spring yet, as the ground is still mostly white from the snow! ), I want to keep my teacher mind sharp so have a few goals for myself just to keep fresh with the education world. 1. Read all of the Indigenous Education articles that my classmates in ECS 110 read and my professor posted a list of. 2. Keep reading my Instructor magazines that I get and post and reflections or ideas that spring up from them. 3. Tutor my “summer student” for the third summer in a row! Note to self: Go talk to his homeroom teacher for possible materials and suggestions of what to focus on! 4. Use Twitter and Pinterest as ways to stay connected and get great new ideas. I have always been an avid goal setter and I think that summer holidays are a great time to re-evaluate your goals! I will let you know how I do on accomplishing these (and don’t worry, I still hope to post frequently during the summer!). Wishing university students a great four month break and teachers, elementary and high school students a happy summer holiday once it comes! I don’t know if anyone has seen the new Dove campaign ad going around about ‘real beauty sketches’ but when I first saw it, I really liked it! I thought it was so true that women are their own worst enemies and see themselves as less beautiful than others do. What are your thoughts on Dove’s video?